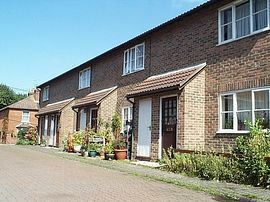 Situated on a side road behind the High Street of Lyndhurst, this is a cosy two bedroom Cottage. 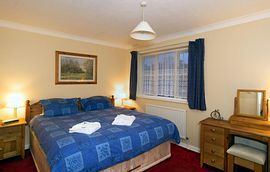 The main bedroom has a six foot double "zipper" bed, which can become two three foot singles, the second bedroom is a twin, each sharing the bathroom complete with bath and shower. Downstairs is a spacious open plan sitting room with dining area, remote TV and stereo (with CD). 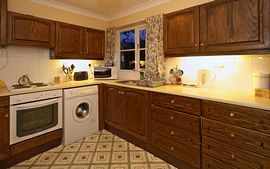 Also a kitchen with electric cooker, fridge, washing machine etc and small patio area. £650.00 from 1st January - 19th December. £750.00 for Christmas and New Year. "A week away staying in Dormouse cottage was lovely. Ponies & foals, cattle & calfs were so sweet. Every night we went for a stroll on the New Forest and ate out at a different place in the village, many thanks" Leroy & Carmel Tower-Block ~ Docklands, London.